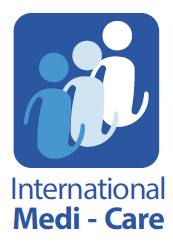 Medical Tourism.CMN welcomes foreign patients living in the United States and their insurance companies, people who is looking for optimal health services and prestigious scientific quality , honesty and deep warmth, in order to offer legal and administra􀀲ve security, CMN created International Medi Care LLC. Wich is a administrative department exclusive for US companies and insurances, it also establishes and maintains a link between CMN and USA costumers, insurance companies and patients. Want more information on Medi-care or want to know if your insurance company covers our services?